Karrueche Tran Stars in Chris Brown's New Video "Autumn Leaves," Check it Out! - Ooooooo La La! 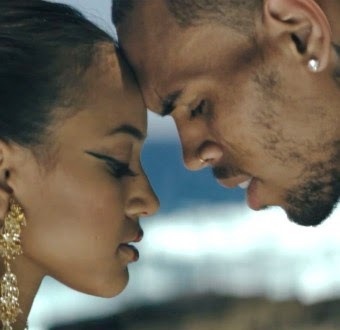 Karrueche Tran Stars in Chris Brown's New Video "Autumn Leaves," Check it Out! Chris Brown just released an Asian-themed video for “Autumn Leaves” which is off his latest hit album X. The R&B star plays a sword-wielding samurai who is ready to fight for love. The music video features his girlfriend Karrueche Tran as his on-screen lover, and Kendrick Lamar is featured on the song but he does not appear in the video. Chris recently shot a music video with Omarion and Jhene Aiko for their hit "Post To Be. He is also currently working on a joint album with his buddy Tyga and they are about to begin the "Between the Sheets" tour at the end of the month. RELATED POST: Chris Brown & Tyga Will Release a Joint Album, Check Out Their First Single "Ayo"